The Voltage Divider eliminates the need to connect a resistor to an analog input by putting a high precision potentiometer on the board to allow the adjustment of the 'fixed' resistor. 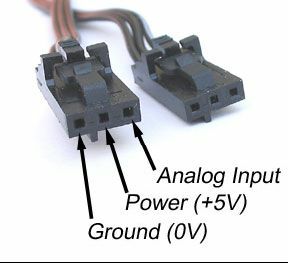 The interface to the variable resistance sensor is a convenient terminal block. Perfect for force sensing resistors (FSR's), thermisters, photoresistors, and any other variable resistance sensors.